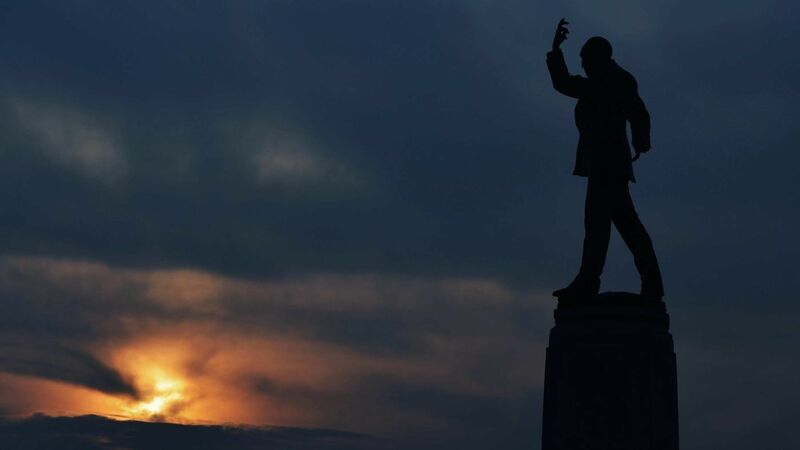 Is the sun setting on power-sharing at Stormont? Spare some sympathy on St Patrick’s Day, for James Brokenshire, Secretary of State for Northern Ireland – the most thankless job in the Cabinet. He was supposed to be having a few days in the United States, meeting President Trump at the annual White House bash, smiling alongside the Taoiseach and leaders of the main Irish and Northern Irish political parties as they all talked up peace and reconciliation. He might have been able to have a fruitful word with potential investors in the province, to reassure them that Brexit posed no problems. Instead, he had to cancel his visit in order to attempt to persuade obdurate people, who mostly loathe each other, to go back into government together by the end of month. Things aren’t looking promising. As Brokenshire explained in a letter to all MPs last week: under the terms of the Good Friday Agreement, if there is no deal within three weeks, there will be “no Executive, no real budget, no Programme for Government and risks to public service”. Instead, there will have to be another election with all the uncertainly that would bring. If that were to result in another stand-off, he’d have to endure the misery of implementing Direct Rule, along with relentless criticism from all sides. Poor Brokenshire is a long-standing, trusted ally of Theresa May’s who, like her, served six years at the Home Office. His most important job there was as Security Minister, where his responsibilities included domestic national security and counterterrorism. Presumably Mrs May thought this made him well-qualified for a job that involves close cooperation with MI5 and the PSNI in dealing with violent dissident republicans and loyalist drug gangs. Over most of the past decade the job’s been uneventful. Brokenshire was required primarily to keep an eye on the Northern Ireland executive, where the DUP and Sinn Fein jogged along in their loveless relationship, splitting rather than sharing power, but united in their desire to stay as rulers of their respective ethnic groupings. Sinn Fein wants more than anything to shuffle off its association with violence in the Republic, and prove its credentials as a future reliable coalition partner. Hence its constructive involvement in politics up north. As leader of the Northern Irish Sinn Fein party, the ruthless-IRA-leader-turned-diplomatic-politician, Martin McGuinness, strove to keep relationships going as smoothly as possible with his DUP equivalents. He maintained good relations with the First Ministers with whom he was in partnership as Deputy First Minister – first the Reverend Ian Paisley (an octogenarian, egotistical bigot who along with the IRA, bore most of the responsibility for the Troubles, and whom McGuinness charmed through flattery). then Peter Robinson and, latterly, Arlene Foster. McGuinness was so successful at rebranding himself as a peace-maker that he stood in the Republic’s 2011 presidential election, won 14 per cent of first preferences and finished third of seven contenders. But he also had to keep onside aggrieved IRA hardliners who were beginning to wonder whatever had happened to the United Ireland they were promised. When, at the end of last year, McGuinness became seriously ill, things came to a head. Worried about the grass-roots discontent over his party’s subservient relationship with the DUP, he and Gerry Adams (his comrade in arms who leads Sinn Fein in the Dail) realised the troops needed the satisfaction of battle. So McGuinness pulled the plug on Stormont. The excuse was a scandal over a renewable heating initiative – so mismanaged that it may cost the taxpayer £500 million – and the refusal of Foster who was the Minister in charge at the time to step down during an inquiry. McGuinness resigned and refused to name a successor as deputy, thus triggering an election. In his capacity as President of Sinn Fein – a job he’s held for 34 years – Adams appointed the malleable Michelle O’Neill as Sinn Fein’s Northern Ireland party leader. She has been an unimpressive minister but comes from an IRA family and so simultaneously reassures republicans and annoys unionists. She has a clean record herself and ticked the gender, looks and age box. She was the perfect person to beat the tribal drum while also playing the popular victim card – which resonated well among those accusing the DUP of being disrespectful and anti-equality. Meanwhile, Foster – who as a child saw her school-bus blown up, her father almost killed by the local IRA assassin and is unamused at being accused of corruption by a party financed for decades by robbery, smuggling and fraud – infuriated nationalists by refusing concessions on Sinn Fein’s demand for an Irish Language Act in a way they considered arrogant and high-handed. She said: “If you feed a crocodile, it will keep coming back and looking for more.” Sinn Fein represented this as an attack on the entire nationalist community, supporters ran around in green costumes and there were entertaining cartoons on social media of crocodiles eating dinosaurs. The DUP was on the back foot and Sinn Fein reaped the rewards. The upshot was an election in which the DUP lost ground and Sinn Fein gained. Just as they had hoped. As a result, Adams – whose vanity, pomposity and sanctimoniousness irritate not just unionists – has been making incendiary announcements about unionism’s days being numbered. But it’s not quite that straightforward. Though only one assembly seat separates the two big parties, unionist parties overall are 10 ahead of their nationalist counterparts. Sinn Fein pine for the days when they commanded the attention of international politicians and global media – when they had ready access to Tony Blair, and Bertie Ahern and American envoys flew in and out mediating. But the world’s attention is elsewhere now. Ruth Dudley Edwards’ The Seven: The Lives And Legacies Of The Founding Fathers Of The Irish Republic, was published by Oneworld Publications on March 22.